We supply a wide range of Anti-Theft products. 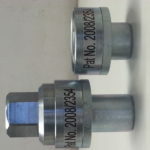 Our most popular product being our lock nuts for Trucks. We also supply protection for you batteries, your fuel, you gate motors, spindle wheels, roller doors, power boxes etc. Basically anything that either requires a bolt or nut we can supply a lock nut to replace it with. We are here to help you create a protection on whatever you need protected. In the 9 years that we have been doing our lock nut we have yet to have a single client lose a single wheel fitted with our lock nut. We have had 2 clients whom did not fit there entire fleet that the trucks with our lock nuts where the only trucks that didn’t lose their wheels. All their other truck where standing on bricks. From another angle of positive and effective we had a client phone us highly upset as he could not get our lock nut off, he had bought his trailer by someone and had our lock nuts on it still. This client had misplaced the only tool that he had. Being urgent as he then got a flat and needed to remove the wheel urgent, he has two men with a hammer and chisel try remove our lock. After more than 2 hours had gone by they still could not get this lock nut off. For us this meant that our lock nut is doing the job that is made to do, to protect you wheels. Our only comeback we get is when clients come back to order more lock nuts. We believe in the best quality products and service, and strive to keep our clients happy. We are based in Olifantsfontein in the heart of Gauteng. But our lock nuts are not only working every in South-Africa, but is also very popular over the border in our neighboring African countries, as well as all over the world. 1.) Patent: We have the only patented lock nut in South-Africa and the only patented drain plug in the world. We also hold the design copy right for our products. 2.) Engineer: Our products gets CNC’d by a top class and quality engineer. He has been making our products for the last 8 years. 3.) 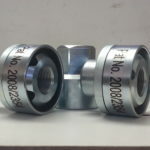 Material made from: Our lock nuts is made from a extremely strong steel named en8 and the key code tools can be hardened as well at an addition cost. 4.) Sizes: We manufacture our Truck Locknut in sizes ranging from a 16mm to a 30mm as well as 7/8’s and on special order some other thread sizes. We are highly versatile when it comes to the sizes, namely we can make you any thread size you request (some cases their may be additional costs due to work related in making the sizes). 5.) What do we offer: We have a wide range of anti theft products, ranging from wheel, fuel, oil, general, battery theft and security protection. But our product can be used on namely anything that works with a stud or a bolt. It is also used for safety measures as we supplied the entire Palaborwa mine with battery lock nuts, which they used to lock they power boxes after one staff member opened the one box not knowing it was live, and shocked himself to death. They can also be put on your electric gate motor rollers, preventing people from lifting you gate of the runner and opening your gate, the use of our range is close to endless. People often say that R240.00 is pricey per wheel, we always like to flip the coin around for them, and tell them that a steel rim in average cost R1 400.00 and the tire a average of R4000.00 and if it is aluminum rims the Rim a average of R12 000.00 + the R4000.00 for the tire. So that R240.00 keeps R5400, R 10 800 if it’s a double wheel and R16 000, R 32 000 for double wheel. So in the long run that R240.00 per wheel can end up saving you thousands of rands. Each client get a unique code on their company name, so that no other company has your code. It also makes it easier keeping it on client name, for future orders. We can in exception of client request, make multiple codes per client, like per registration or fleet number etc. 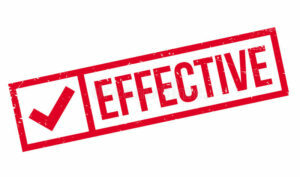 We also are very strict with our orders, we do not accept any telephonic orders, it can only be done by authorized persons by company, and must be done in writing. This is to safeguard the client and ourselves. The codes is done in half moon shape for the reason even if you have another tool, crow bar or object, because of the round edge the moment a slight bit of force or torque is put on it just slips out of the nut. It has nowhere to grip. With the loose rotating slinger, this does not give them a weakness to grip unto to try and turn it off.